Holidaymakers travelling to the Isles of Scilly spend almost £24 million in Cornwall every year, including £6.3 million in Penzance, according to new research. 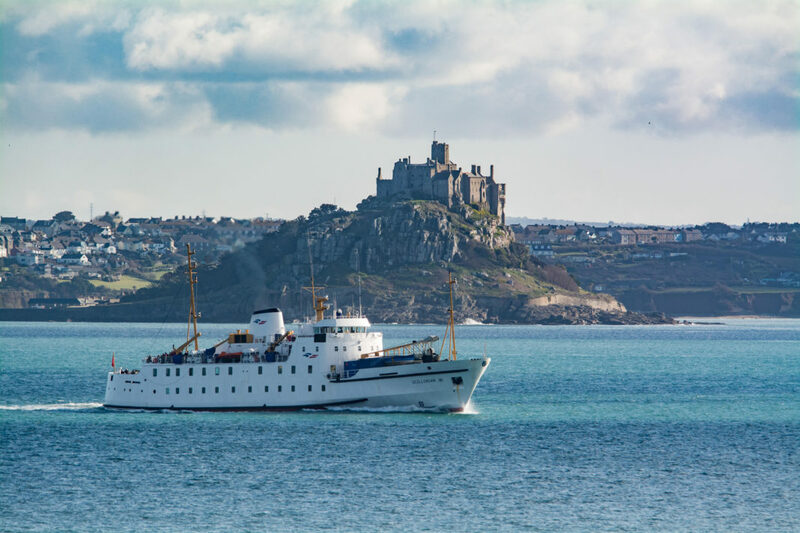 More than 210,000 people travel to the Isles of Scilly annually, with just over half using the Scillonian III passenger ferry from Penzance. The remainder fly by fixed wing planes or helicopters from Land’s End Airport a few miles away, or by fixed wing planes from Newquay and Exeter Airports. Research based on surveys with hundreds of passengers shows that 28% of visitors to Scilly spend time in Penzance before or after their visit to Scilly, and a further 31% spend time at other locations across Cornwall. The majority of expenditure is on accommodation, followed by food and drink, entertainment and souvenirs. During the August peak, visitors to Scilly spend a total of £150k a day in Cornwall, of which almost £40k a day is spent in Penzance. The research was carried out by Cornwall-based PFA Research on behalf of the Isles of Scilly Steamship Group, which operates the Scillonian III ferry, Skybus fixed wing and the Island Helicopters service to the islands. Sharon Sandercock, marketing & communications manager at the Isles of Scilly Steamship Group, said: “This research shows that there is a huge economic benefit to Penzance and Cornwall from our customers travelling to the Isles of Scilly, with £24 million spent overall in Cornwall, of which £6.3 million is spent in Penzance itself. The research is part of an ongoing programme of customer surveys being carried out by the Steamship Group to help inform future investment.